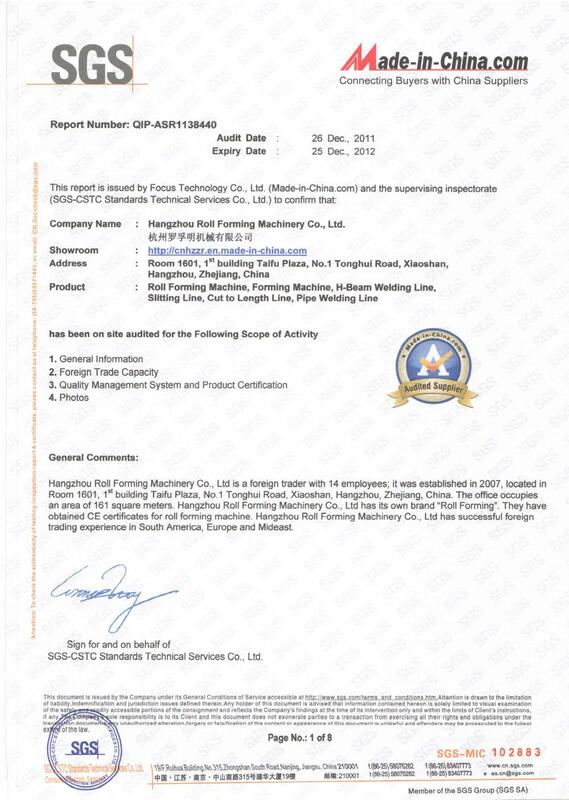 , offering Slitting Machine,Cut to Length Line, etc. 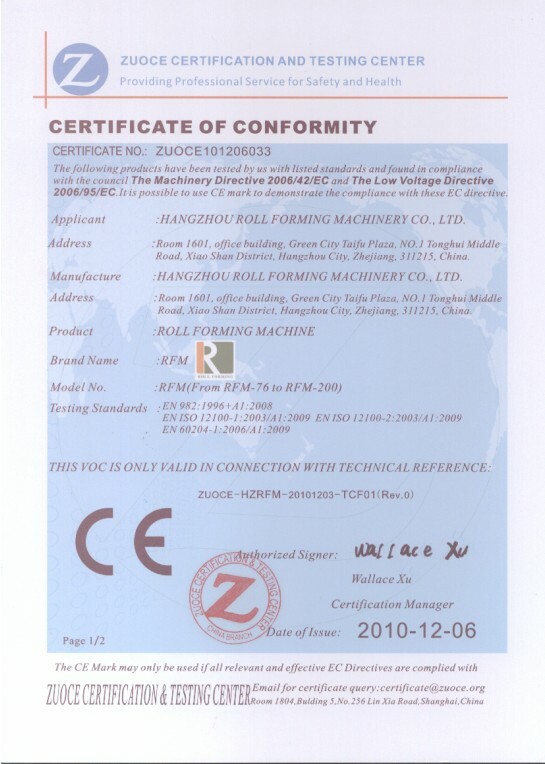 HangZhou Roll Forming Machinery Co.,Ltd [Zhejiang,China] Business Type: Manufacturer , Trade Company Main Mark: Africa , Americas , Asia , Caribbean , East Europe , Europe , Middle East , North Europe , Oceania , Other Markets , West Europe , Worldwide Exporter: 81% - 90% Certs: GS, CE Description: Roll Forming Machine manufacturer / supplier, offering Slitting Machine,Cut to Length Line, etc. We offer solutions for all kinds of roll forming machinery, steel structure machinery, tube mill line, standard product and so on.